Top of the Morinin' to you! I know my last name does not scream Irish but I am proud of my ancestry from the Emerald Isle. Have you ever met an Irishmen who is not proud? 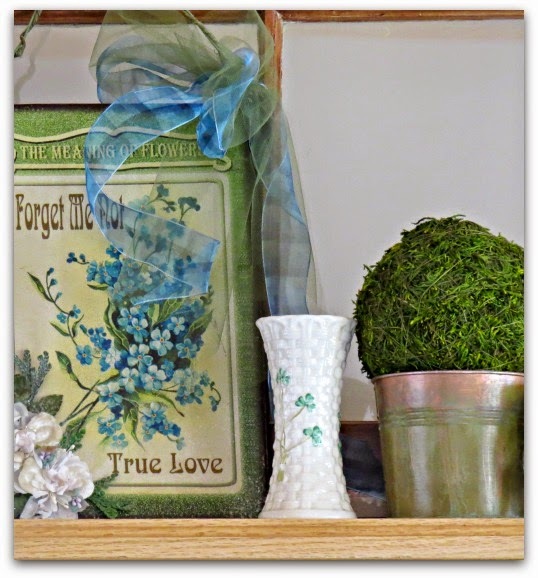 I thought I would share a small vignette I gathered to celebrate the up coming St. Paddy's Day Holiday. My Great Great Grandfather Is Patrick Condon of Cahir, Ireland. I have had the honor of traveling to the town. While I visited I met the family member still running PC Condon's Pub in Cahir. She is a delightful lady who welcomed me took me on a tour of the town. Taught me about where she lives, exchanging family history.I now have contact with more family. I am looking forward to meeting one day soon. 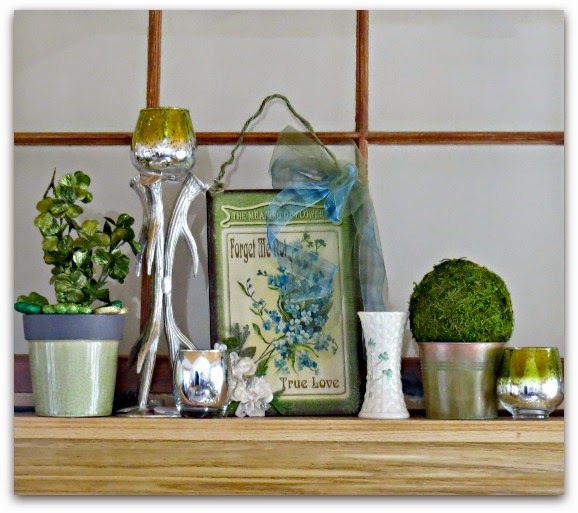 The pot is a thrift store find, +Michaels Stores is where I purchased the shamrocks stem, glitter decor shapes and Christmas clearance votive candle. It cost me less than $7.00. 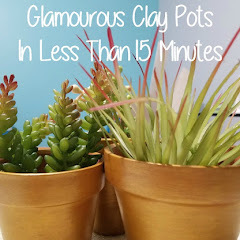 I can also use all the elements again in other decor too. The Forget Me Not print I often use was made by a friend from High School. Isn't is adorable. My Grandfather gave my Grandmother a jewelry set with Forget Me Nots. It reminds me of the gift, which my Mom sweetly gave me to care for this generation. 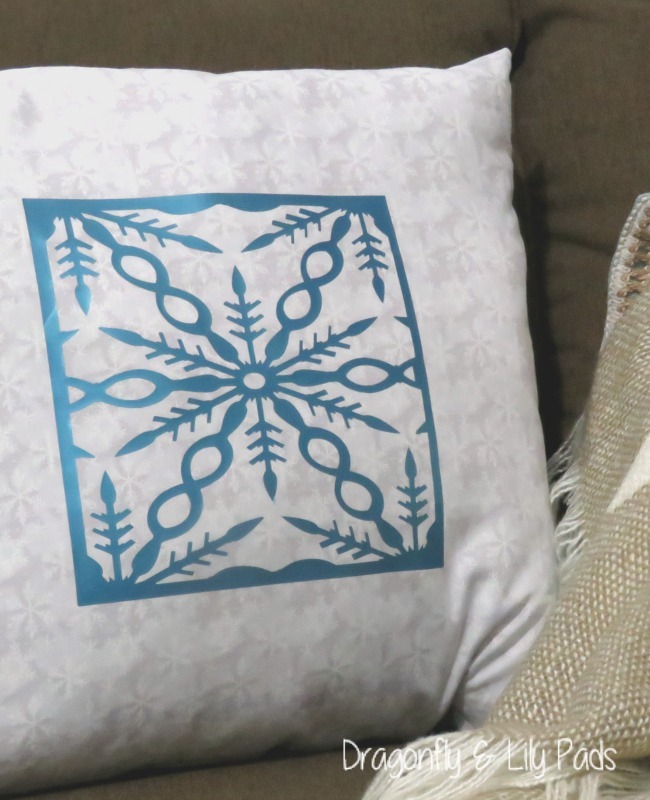 Most items in my home have a sentimental meaning. The Irish Belleck Vase came from my girlfriend from High School. It was her parents and she gave it to me to remember them. I feel honored to treasure this in my home. 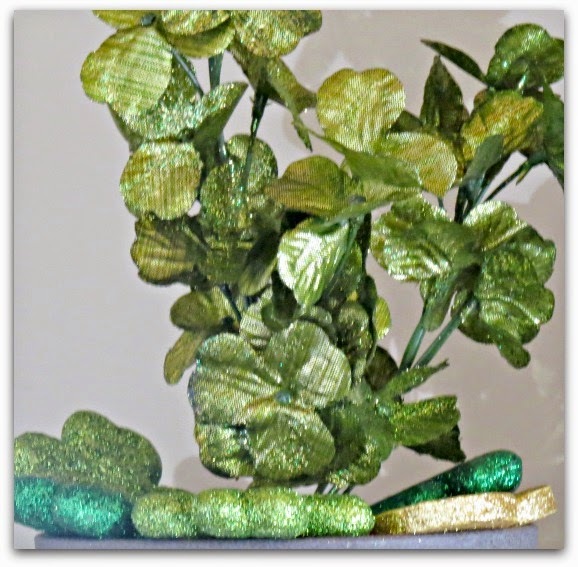 Sparkling with pride is varied green shamrocks and gold coins clad in glitter. 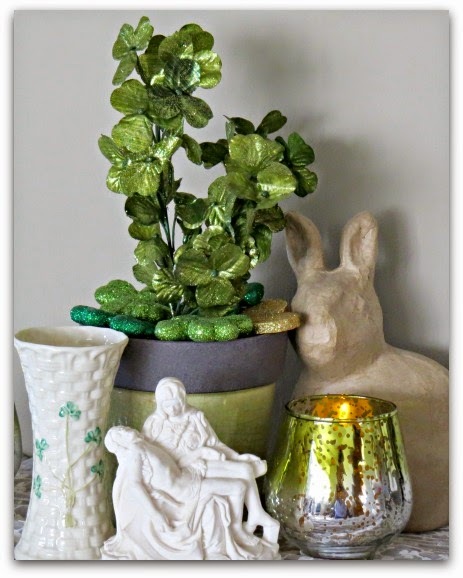 This last vignette is mixed to honor the upcoming celebration of Easter and St Patrick's Day. 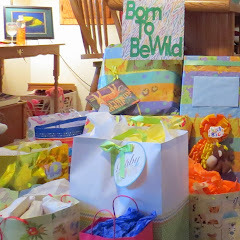 This season of celebration is about new life. After this hard winter weather we could use the hope of Spring and new life. Parties I have linked too. 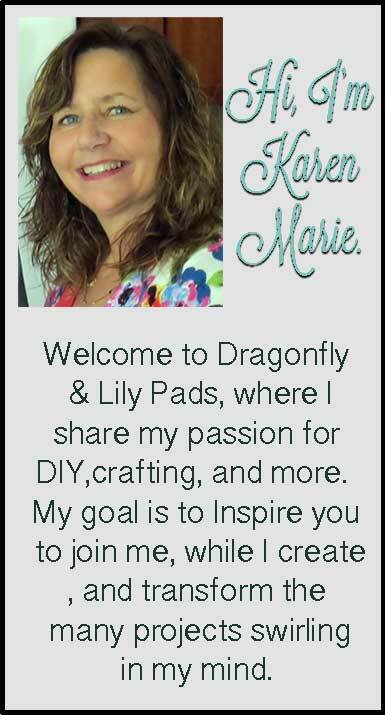 Thanks, I am Kathleen from 60-TheNew40.com a lifestyle sort of blog. Your pictures and creativeness are so lovely. Just beautiful. Thank you for the sweet note. I will be over for a visit on your blog. 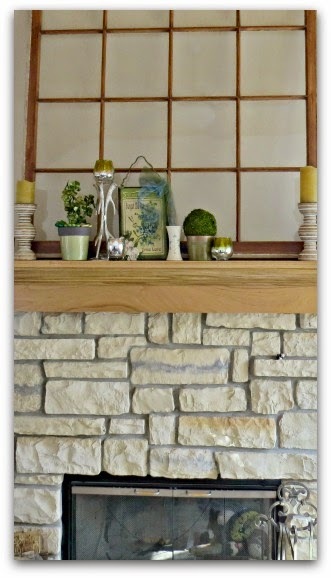 Hey Karen Marie - we love you Irish inspired mantle, especially the sentimental pieces. Great job! St. Paddy's Day is a sentimental holiday to me. Thank you for visiting and your kind words.